Ballyvolane House are delighted to announce dates for their ‘BERTHA SESSIONS’, live music and one-course supper event in the barn with the next live gig taking place on Good Friday, 30th March 2018. Local band ‘MORNING NIGHTCAP’ will perform live in the old stone barn located in the farmyard at the House. Doors open at 7.30pm. Friday March 30th, is kick off date with monthly sessions taking up until June. Supper is served at 8.00 p.m. on each night with live music to follow thereafter. To book: Please phone us on 025 36349 or email us on info@ballyvolanehouse.ie. 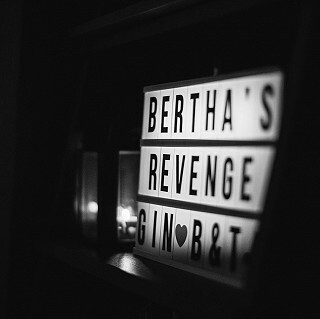 We hope you will join us for what promises to be a fun evening of fantastic tunes, Bertha’s Revenge Gin tipples, delicious grub, superb ambience and not forgetting the good company!